Wintry weather brings driving challenges, among them snow and ice. 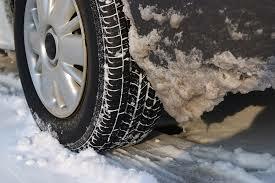 Make sure your tires are winter ready by checking your tire pressure and tread. Cold temperatures can reduce tire pressure to below recommended levels. Losing pressure reduces your gas mileage and can result in worn tires. Idling is not the best way to warm up your car, and you should never idle a car inside an enclosed garage. Driving your vehicle is the best way to warm it up, so once your windshield and windows are clear, you’re good to go. If you need to wait a few minutes to pick up a friend, turn off your engine. Keep a blanket in the car for emergencies or to stay toasty warm while you are waiting and being idle free. Sign up for email alerts and more!